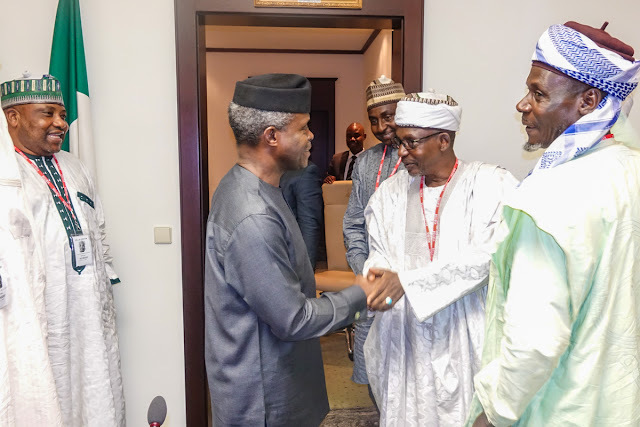 Southern Kaduna Stakeholders Meeting (Muslim Group) with His Excellency Vice President Prof. Yemi Osinbajo, State House, Abuja. 11th April 2017. 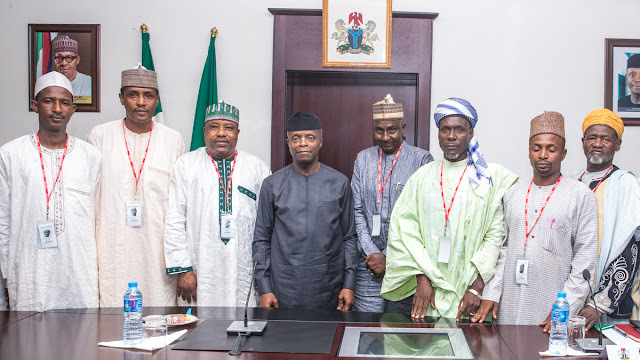 Jama'atul Nasril-Islam; Miyetti Allah Cattle Breeders Association of Nigeria; The Pastural Resolve; Jama'a Foundation; Southern Kaduna Muslims; Muslim Youths Foundation of Southern Kaduna.